Bishop William Lee , our local bishop (now retired), regularly communicated with the people of the diocese by issuing open pastoral letters. He did this for various reasons such as instruction, consolation, or direction. Such letters were also issued at particular ecclesiastical seasons. Our newly appointedÂ bishop, Fr. Alphonsus Cullinan, will no doubt continue this practice. These letters are usually read out at Mass by a priest. However, some of the parishioners might be on holiday or in hospital or at work so they don’t get to hear them being read out. Those of the congregation who do hear them might not remember them very well twenty-four hours later or a week later, and might not have understood them properly. For these and other reasons we have decided to make the bishop’s pastoral letters available to you on this web site. We do not have a complete collection of pastorals going back to the foundation of the diocese but we will endeavour to collect them for you from now on. We will also make available any reports or other communications from the diocese. The Irish Catholic Bishopsâ€™ Conference is the assembly of the bishops of the whole island of Ireland. The Conference enables the bishops to exchange views and share their wisdom and experience in order to promote the common good of the Church in Ireland. 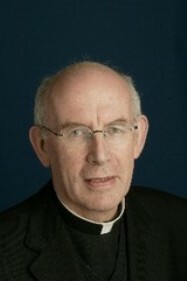 The current membership of the Conference comprises the twenty-six bishops of the dioceses of Ireland together with the seven auxiliary bishops. The Conference seeks to build effective consensus among the bishops, thereby contributing to the unity of the Church in communion with the pope. At the same time, the Conference fully respects the personal authority, responsibility and ministry of each individual bishop within his own diocese. The Irish Catholic Bishopsâ€™ Conference maintains a web site (see the Links page) which provides much information about the bishops and their dioceses, many articles and publications, and interesting images and videos. From time to time, for your convenience, we will present some of the information on this your own parish web site. Jorge Mario Bergoglio was elected as Pope Francis, the 266th Pope, on 13th March 2013. He is the Bishop of Rome, the head of the Catholic Church, and Sovereign of the Vatican City State. Born in Buenos Aires as the son of Italian parents, heÂ worked briefly as a chemical technician before entering seminary. 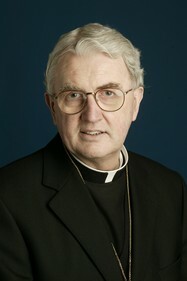 He was ordained a priest in 1969. From 1973 to 1979 he was Argentina’s Provincial superior of the Society of Jesus, became Archbishop of Buenos Aires in 1998, and cardinal in 2001. Following the resignation of Pope Benedict XVI on 13 March 2013, the papal conclave elected Cardinal Bergoglio, who chose the papal name Francis in honor of Saint Francis of Assisi. Francis is the first Jesuit pope, the first pope from the Americas, and the first from the Southern Hemisphere. 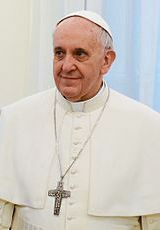 Throughout his life, both as an individual and a religious leader, he has been noted for his humility, his concern for the poor, and his commitment to dialogue as a way to build bridges between people of all backgrounds, beliefs, and faiths.Since his election to the papacy, he has displayed a simpler and less formal approach to the office, choosing to reside in the Vatican guesthouse rather than the papal residence. Pope Franccis’ publications may be found on the Vatican web site. 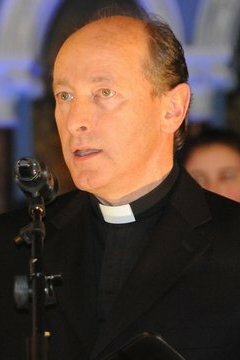 In 2010, Pope Benedict wrote a pastoral letter “to the Catholics of Ireland” concerning “the abuse of children and vulnerable young people by members of the Church in Ireland, particularly by priests and religious”. An abbreviated letter was read out at Mass on Saturday/Sunday 20th/21st March and copies were given to the congregation after Mass. The complete pastoral letter is available by clicking the appropriate link opposite.